Read our policy briefing on new guidance on how to identify those at risk of domestic slavery. Health professionals, including district and community nurses and health visitors, are being encouraged to look out for signs of domestic slavery during home visits. Domestic slavery, when one person keeps another in compelled service, is the most hidden form of exploitation in the UK. The Home Office estimates that there were up to 13,000 potential victims of modern slavery in the UK in 2013. New guidance from the Institute of Health Visiting says health professionals are well-placed to spot the signs of someone living in domestic slavery. 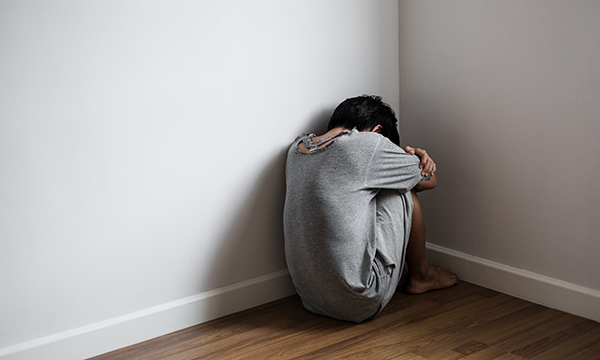 Many victims are not permitted to leave the house or speak to others, so a health professional may be their only contact with the outside world, and probably their only means of escape. Victims typically live and work within their employer’s household, performing tasks including cooking, cleaning and childcare. They often work up to 16 hours a day for little or no pay, in poor conditions and with no, or limited, freedom. The practice is often linked with child fostering and the promise of a better life in the UK. It is a safeguarding issue and an aspect of trafficking. All forms of modern slavery are illegal in the UK under the Modern Slavery Act. Signs to look out for include if someone is working more than normal hours or on call 24 hours a day. Home workers who seem afraid or anxious, or stand out from other family members by being quieter or wearing poorer clothing, could be victims. Other indicators might be not having a room to sleep in, or being harmed or deprived of food, water, sleep and medical care. Being unable to freely contact friends and family or not leaving the house alone other than when taking children to school can also be a cause for concern. ‘Domestic slavery can be spotted by health professionals who visit patients’ homes, so health visitors, district nurses and others need to be alert to the signs of domestic slavery. This guidance prompts professionals to be aware if they see a home help, or similar, particularly if they are from Africa or South East Asia and there is concern about how they are spoken to or how they look. Try to ask sensitive questions of the house help if there are concerns they could be victims of domestic slavery, and be aware that family members can be perpetrators. Understand that due to cultural and social pressures, the house help may not feel comfortable about disclosing information for fear of reprisal from the family and by the community in their home country. Signpost potential victims or concerned family members to the Modern Slavery Helpline (08000 121 700) and the police. Ensure good record keeping. Carry out a risk assessment which includes considering if anyone needs to be safeguarded in the house. Always seek advice if concerned that someone is a victim.